When it comes to building cross-platform apps, developers face critical challenges in the planning phase. The main debate revolves around the nature of the app. Should it be a hybrid application or simply a native one? However, if you have already made up your mind to work on the native platform, these choices aren’t that relevant. It’s here that you need to find out the most effective native app development software. 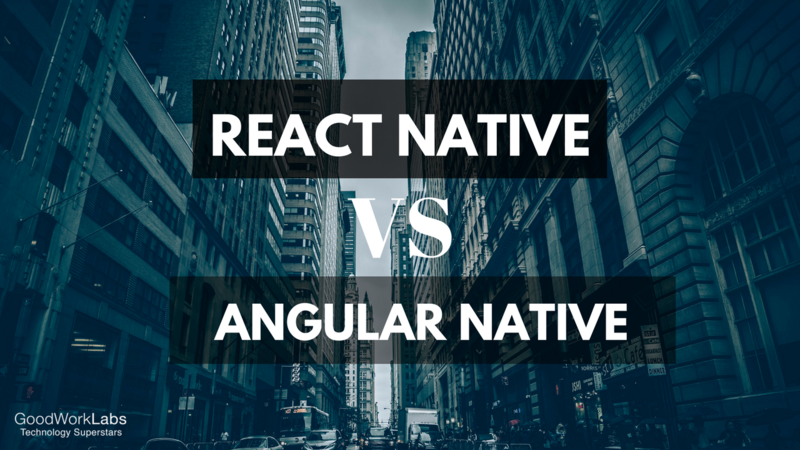 With the presence of both Angular 2 native code and Facebook’s React Native, developers will have a tough time making the final choice. Let’s take a look at both these options for a complete and successful comparison. React-Native has been around for about 2 years, and became a really interesting framework since it can be used for Android and let us build cross-platform mobile apps. A few contributors also customized the framework to build desktop apps for Mac and Windows, which is quite amazing. React Native allows similar coding for alert windows on both the platforms including Androids and iOS. Developers won’t have to create separate codes for each of these platforms. They can now build high-performance native apps within a single code-structure. Compared to React, NativeScript has a complete and holistic approach towards app development. Developers can create it for once and run it across devices and platforms. Although possibilities of low-level UI components will be there, NativeScript is trying quite hard to fill those gaps. Coupled with the features of Angular 2, this particular tool will help you create consistent applications. Developers will have better opportunities to conceptualize and create robust applications. A comparative study of both these tools will help you take a decision. The multi-platform features present in React Native supports the differences between various UIs. Quite naturally, this aspect imparts a unique flexibility and scalability to applications developed using React Native. On the other end, NativeScript believes in creating universal experiences. Irrespective of the platform, applications will have similar UI experiences. When it comes to using NativeScript with Angular 2, you will require a distinctive and different coding architecture. However, that’s not the case with React Native. While picking the right option amongst these two, developers are often in a state of confusion. Both these tools have their special highlights which make them the best choices for native app development. It’s here that developers need to make the decisive move. Depending on your project needs, you will have to pick the right alterNative. If your application contains numerous complex UI elements, React Native will be the right option for you. However, if you need single cross-platform coding for your application, Native Script can fulfill your demands. The crucial thing to realize when comparing the two native-focused approaches is that React Native and Native Script share a fundamental difference in approach to how they construct native apps from the same code base. Native Script takes a holistic approach, working to be a true ‘Write it once, run it anywhere’ framework. This means that a lot of the UI elements used will be decidedly lower-level, as NativeScript is attempting to manage the UI in a transparent and repeatable way between the multiple platforms it supports. Add in the coupling with Angular 2, and you can create cross-platform applications that, through the virtue of Angular’s declarative UI focus, are more conceptually consistent than an application having to interpret between multiple UI paradigms. Cross-platform application development has seen many rapid developments, and the recent flood of cross-platform and native development frameworks will only continue this pattern. Choosing between React Native and a combination of Angular 2 and Native Script is, in many ways, similar to choosing between React and Angular themselves. React is designed as a blazing-fast lightweight rendering framework to be leveraged within the context of a larger application, and React Native continues this pattern of providing tools instead of patterns. 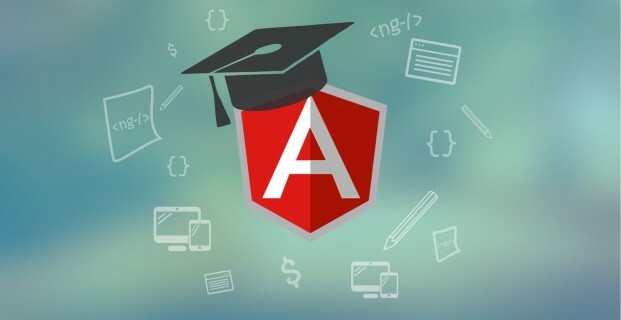 Angular, on the other hand, is an opinionated application development framework that has a “right way” of developing applications in mind, something that the integration of Angular 2 and NativeScript carries further at the slight expense of deeper native device integration. Thus the choice between the two is largely the same. Is your application focused on complex UI with lots of rendering and custom elements? If so, React Native might be the right choice for you. However, if having a single cross-platform code base with a declarative UI paradigm is more in-line with what you foresee for your application’s architecture, then combining Angular 2 and NativeScript can help you realize the same gains, all the while maintaining similar development patterns and program architecture. The Choice is ultimately yours!